First off, let me say, I’m not a doctor. Just a girl who is taking charge of her health. Knowledge is power. I get all my information from trusted websites and books. I encourage you not to just take my word for it. Do your own research as well. This is my disclaimer. Now then. 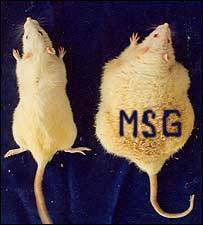 Let’s talk about MSG. Did you know it has over 40 different names? Want to hear them? I was hoping you would ask. This is just some of the names our food companies are hiding MSG behind. Ok. Now that we’ve cleared that up, take 2 minutes and go through your refrigerator/pantry. Check the labels on any of your sauces, lunch meats and/or meal “helpers”. Go ahead. I’ll wait. Now for the science-y stuff. I’m not a scientist. Just a girl with access to the internet. MSG, or Monosodium Glutamate, has been used for over 100 years. It used to be derived from seaweed. Now, it’s made from starch, corn sugar, molasses from sugar cane or sugar beets. Yummy, right? It was deemed safe by the F.D.A. (which, I’m sorry, does NOT make me feel any better about it) “when eaten at customary levels”. I’m not buyin’ it. The average American consumes 1.92 pounds a year. If it’s safe, then why is there such a rise in obesity, ADD, ADHD…I could go on and on but instead I’ll post a few links before we go on. Headache, nausea, heart palpitations, chest pain, vomiting, sweating, facial numbness, wheezing, rapid heartbeat, intense cravings for the same foods, drowsiness, weakness…plus more!! Have you ever felt any of these symptoms after eating at a fast food restaurant? How about the following places? Yep. Even my beloved Chick-Fil-A. These are just a portion of the fast food chains that use MSG. How about an all-you-can-eat buffet or chinese food? That’s why you leave Golden Corral and go home to take a nap. MSG-overload!!!! Beef jerky, ranch dressing, Doritos, Cheetos, cold cuts, soy sauce, Hamburger Helper, Morningstar frozen vegetarian products, breakfast sausage, gravy/taco seasonings and ramen noodles. If you’re anything like me, at first I was overwhelmed, thinking, “what am I going to eat? !” I have some alternatives to share with you, including a delicious taco/chili seasoning recipe that blows those nasty seasoning packets of of the water. Ready? These are the reasons I cut MSG out of my diet. I’m not perfect. I slip up from time to time. But let me tell you, I surely suffer when I do. I. Feel. Awful. When you stop consuming MSG, you feel better. A lot better. Like a new person!! At least I did. Give it a try y’all. You won’t regret it. I would love to hear your feedback, questions or comments. What products were you most shocked by? Previous Previous post: Me? Aggressive? Next Next post: No, I’m not ok.